What Happened: Newport Beach’s City Council was scheduled to hold a public hearing to discuss proposed changes to Woody’s Wharf use permit on Sept. 22. The public hearing was postponed, however, since a full council would not be in attendance to deliberate the issue. 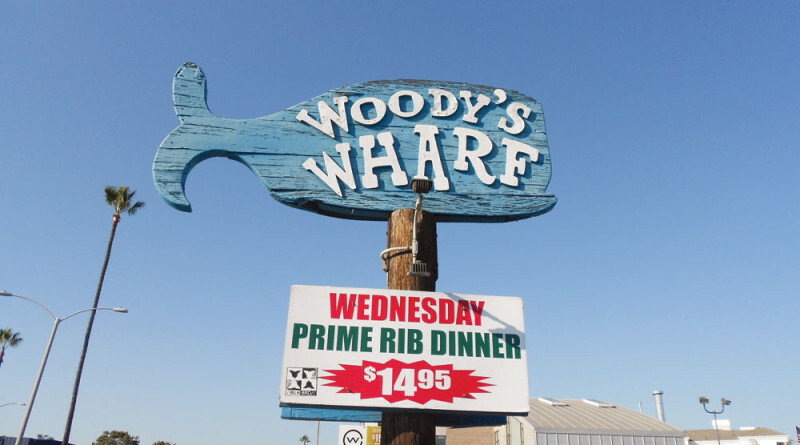 Woody’s Wharf is seeking to change its hours and alter how its customers enjoy the restaurant, which is located on Newport Boulevard at Balboa Peninsula. The restaurant submitted a permit application to open 30 minutes earlier every day, allow dancing inside the venue on select evenings and the outdoor patio area to remain open until 2 a.m. (as opposed to 11 p.m.). The permit application also seeks to allow customers to eat, drink or smoke in an area adjacent to a boat ramp until 8 p.m.
What’s On Tap: City staff announced the public hearing and council deliberation of Woody Wharf’s proposed use permit amendment will be heard on Oct. 13. 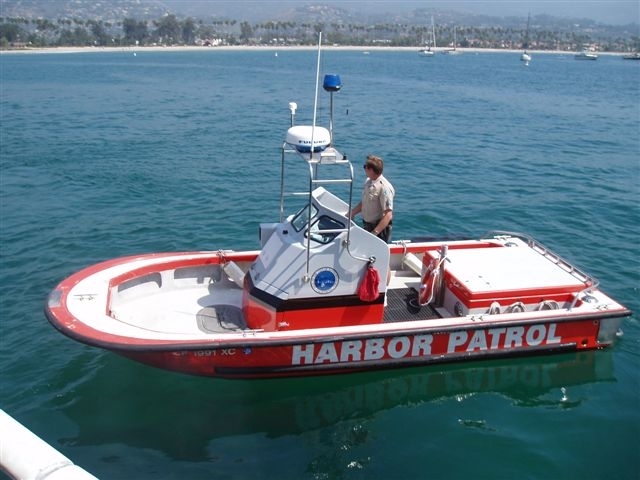 What Happened: Santa Barbara’s Harbor Commission recently approved a recommendation to replace Harbor Patrol Boat 1 with a newer vessel. Waterfront Facilities Manager Karl Treiberg told commissioners at their Sept. 17 meeting Harbor Patrol Boat 1, which was built in 1983 and had its gas engine replaced every five to seven years, routinely made its rounds within the waterfront and out at sea. Santa Barbaras Harbor Commission recently approved a recommendation to replace Harbor Patrol Boat 1 with a newer vessel. Treiberg said the patrol boat might be required to replace its gas engine with a diesel engine. City Hall could have about $185,000 to fund a new Harbor Patrol vessel. There are four boats in the Harbor Patrol’s fleet. What’s On Tap: Waterfront staff will seek City Council’s approval for the new Harbor Patrol vessel. The Waterfront Department could retain Patrol Boat 1 in its fleet as a backup or sell it to a third party. A new boat would take about three to four months to build. Harbor Patrol would have a new boat by spring 2016 if council members approve the Harbor Commission’s recommendation. Harbor Patrol Boat 1 would remain in service until the new vessel is delivered. What Happened: National City’s City Council unanimously approved a $233,100 contribution by the San Diego Unified Port District’s to the local Waterfront Adventure Center. The amendment to a Memorandum of Understanding was approved Sept. 15. The contribution does not complete funding of the project formerly known as the National City Aquatic Center, which is currently undergoing work. What’s On Tap: Construction of the National City Waterfront Adventure Center will continue until its completion. Once complete, the center, which is adjacent to Pier 32 Marina, will feature boat storage, locker rooms, public art, restrooms and showers. What Happened: The Los Angeles County Metropolitan Transportation Authority approved $4.9 million for the Port of Los Angeles’ Sampson Way Realignment Project on Sept. 24. Funding would be available in Fiscal Years 2017 and 2018 and bolster L.A.’s effort to revitalize the waterfront in San Pedro and Wilmington. The funding would help pay for Sampson Way’s expansion and redevelopment as a scenic thoroughfare in San Pedro. City and Metro officials say the new Sampson Way will allow the public to access L.A. Harbor. Several marinas in San Pedro would be directly adjacent to some of the areas L.A. hopes to revitalize in the city’s harbor district. L.A. Mayor Eric Garcetti formed a multiagency task force in February to coordinate the city’s efforts to revitalize the area known as “L.A. Waterfront” in Wilmington and San Pedro. Metro is one of the agencies involved with the panel and became a funding source for the waterfront’s infrastructure improvements. What’s On Tap: The city expects to complete the design of the Sampson Way realignment, which reportedly carries a $13.6 million budget, by spring of 2016. Harbor staff estimates construction of L.A. Waterfront will begin in fall 2016.